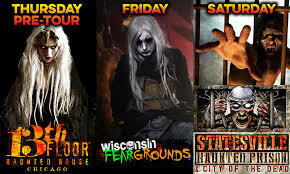 An annual post-Halloween-season tour of some of the USA's best haunted houses! The Legendary Haunt Tour takes place in a different part of the USA each November and features at least 2 of the country's top haunted attractions. Check out the videos of Legendary Haunt Tour.